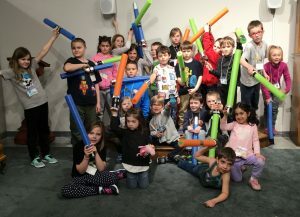 March Break Camp 2019: The Amazing Race! Wait list spots are available. Please call or email at the information below to inquire. Discover the world from the ocean to the desert to the rainforest. We are exploring a different environment each day of camp. Featuring group challenges, games, experiments, crafts, indoor and outdoor activities, and more! Bring warm clothes, indoor shoes, and a nut free lunch and snacks. Capacity is limited to 25 participants per day, so please register early! 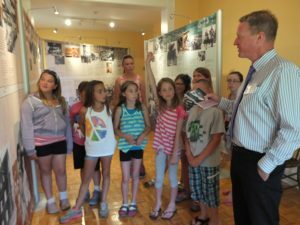 We offer guided tours of the museum year round for groups and individuals. It is required that you book ahead if you would like a guided tour, so that we can make sure we have a guide available! Join us at The Stratford Perth Museum to learn about the rich history of letterpress and experience this early method of printed communication. 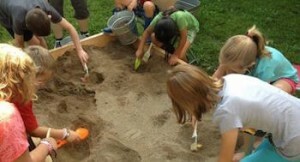 This is a one-hour session full of learning and hands-on fun. We will begin with a 15-minute introduction to letterpress printing. 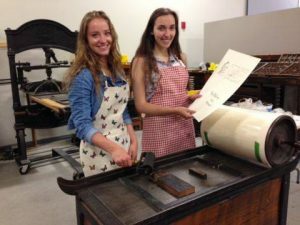 For the rest of the hour, participants can try their hand at printing on an antique proof press, and create a keepsake card. This is an opportunity to learn some of the basics of letterpress printing using an authentic period proof press. For more information or to book this program, please contact Kayla Droog. Bookings for this program must be made at least 2 weeks prior to your visit. Cost will vary depending on the size of the group. Restrictions may apply. In the winter months, we offer snowshoeing on our walking trails! Snowshoe rental is included in the price of regular admission. Please ask at the front desk if you would like to borrow a pair. Our property includes over 1.5km of walking trails that are free to use at any time. The start of the trails is located at the rear of the Museum building. Guided walking tours are also available on their own, or as part of an indoor Museum tour. Guided outdoor visits for children’s groups can also include map and compass-reading, and cooperative games. A map of our walking trails is available. Please inquire at the front desk. The trails are man-made each summer, so they may not be exactly as shown on the map.